Consider our team of dedicated brokers and realtors at Virginia Estates your official “Page County VA Real Estate Guide” to the region. 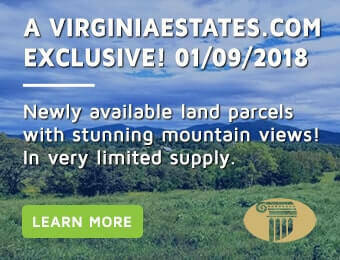 If you are interested in farms or land for sale in Page County, or if you are looking for the perfect location to start a Vineyard in Virginia, the Page County real estate market has it all. It is also in striking distance of popular communities, including Harrisonburg, Massanutton, and Culpeper. In 1831, the Virginia General Assembly fused a portion of Shenandoah County to a similar piece of land from Rockingham County and officially named the new entity Page County. The county seat, Luray, had previously been established in 1812. During the American Civil War, troops traveled along the river and reconnoitered in the valley as they prepared for their next conflict. Luray, Virginia, offered its land to Confederate General Robert E. Lee and his troops as they regrouped from their defeat in Gettysburg, Pennsylvania. White House Bridge: Turner Ashby burned the bridge to hinder Union soldiers. It was at New Market / Luray Gap, that Stonewall Jackson announced the alignment with Robert E. Lee’s troops. Willow Grove Mill was destroyed in “The Burning” commanded by Union General Philip Sheridan. Graves’ Chapel is where Stonewall Jackson spent his last moments before his death by accidental gunfire. Cabin Capital, which is home to more than 250 cabins available for overnights and more. Luray Cavern, which is the most visited underground cavern network on the East Coast. Shenandoah River, which is a scenic river that winds its way north through the Shenandoah Valley. Enjoy numerous hiking trails along the river and skirt past its mighty riverbanks in canoes. Luray – This town has a population nearly 5,000 people. It is known for its historic buildings and houses. One to noteworthy structure is the Grand Old Mimslyn, built in 1931, a classic Southern mansion which is now a hotel. Stanley – A small town that is approximately 1.1 square miles and has three places on the National Register of Historic Places. Whether you are looking for small acreage or a 500-acre estate, you find what you are looking for in Page County. Historic homes, land parcels, and a great way of life in the Virginia countryside are waiting for your visit. Contact Rick Walden and the team at Virginia Estates today. Our Virginia realtors and agents list some of the most beautiful properties in the Commonwealth. We serve the entire Virginia real estate market, including Charlottesville, Richmond, the Shenandoah Valley, and Page County. Call (877) 646-8800 or e-mail an agent today: rick@virginiaestates.com.